Please find below an electronic copy of Digital Parenting. It is produced by Parentzone and Vodaphone to help parents in the digital age. 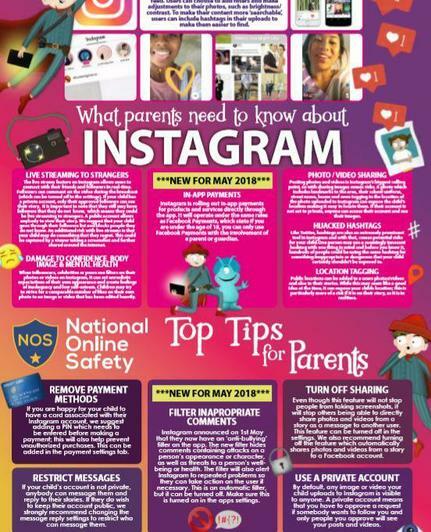 Published by National Online Safety, the website have produced safety advice posters for many apps and online sites that are popular with children. Below is an example of one. To find out more click on the PDFs below. The site also have an active twitter account where up to date information is posted.